When any list is compiled of the best places to propose, it usually centers around rolling hills or lakes. But what about in major metropolitan areas? Some of these cities have long catered to the tourist industry and built areas of the city around things other than just being an urban environment. But what about those cities not usually associated with sightseers and souvenirs? Dallas is just one of those places. A city of 1.4 million people. It is one of the fastest growing cities in the US even though it probably isn’t the first name on any travel agent’s lips. But Dallas is growing for a reason. Crime is relatively low, the city has the largest Arts District in the US and it is a business and sports powerhouse. Dallas also has lots of great places to plan a marriage proposal. Here, we look at some of the best. 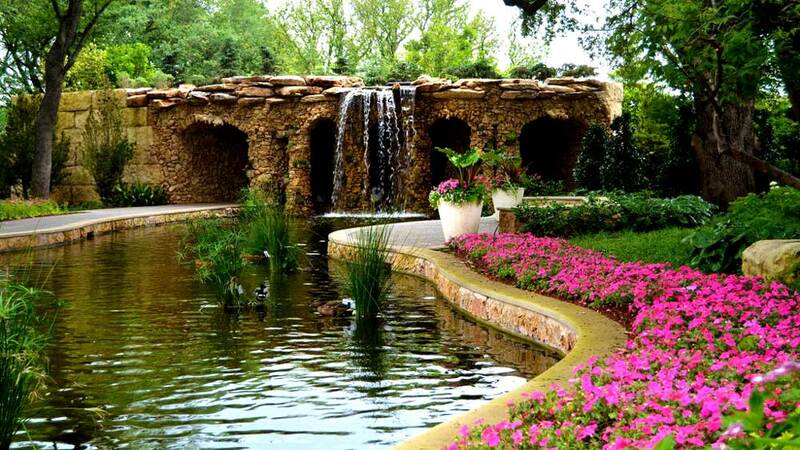 Public gardens are always a favorite on any list of proposal locations, and Dallas is no exception. Situated on the shores of White Rock Lake, the Gardens are amongst the youngest of its type in the US and, as such, is still to mature fully. But that doesn’t stop the experience from being spectacular, as demonstrated by an incredible list of national and international awards. With over a million visitors a year, the 66 acres of the Arboretum and Gardens can get crowded, especially in peak season. There is good news, however. Within the gardens are small private areas which can be rented. This gives you all the seclusion you need to ask the most important question you’ll ever ask. 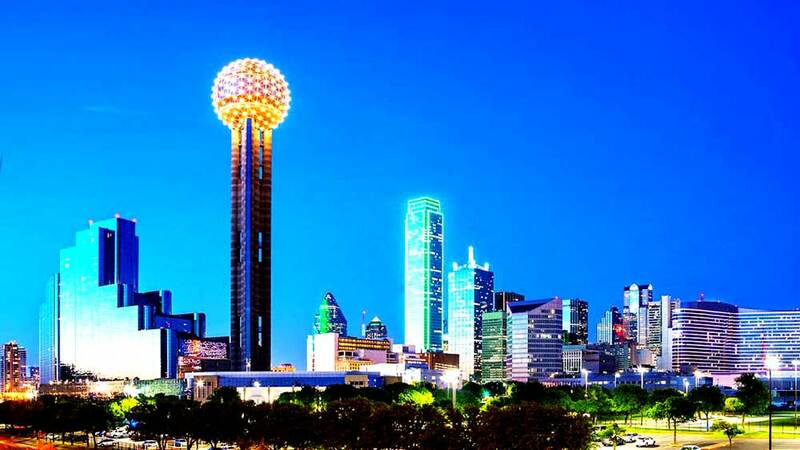 Known to locals as “The Ball”, thanks to the distinctive ball-shaped top of the tower, the Reunion Tower is one of the most iconic Dallas landmarks. It’s also a place where a proposal can be as much or as little as you want to make it. It’s 561 feet of possibilities. You can have lunch or dinner, and take a trip to the GeoDeck, 460 ft above the city with incredible 360-degree views. You can, if you wish, take a private elevator to the GeoDeck and be greeted with a glass of sparkling wine, as part of a package offered by the tower management. Evening, once the sun has set is a wonderful setting for a proposal, but can get busy. Either way, an iconic setting atop an iconic tower is a wonderful way to start your life together. To the rest of the world, they are Lupins. 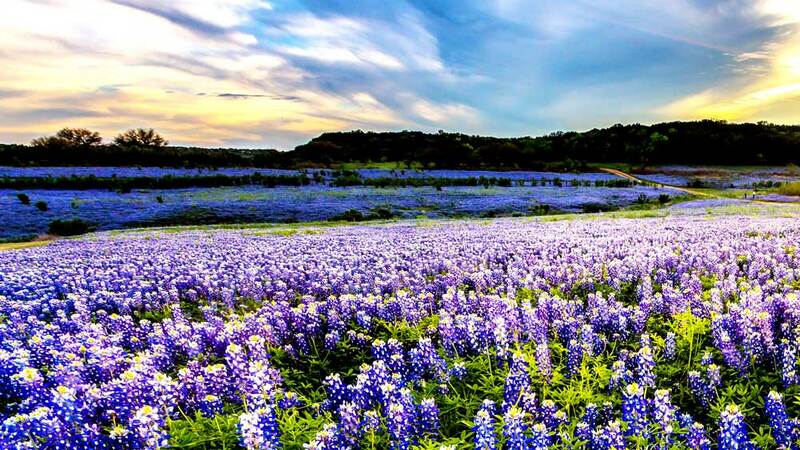 To Texans, they are Bluebonnets. Thanks to a campaign by Lady Bird Johnson, in which states were encouraged to plant native species alongside highways, Bluebonnets, the state flower, became a spectacular sight every spring across Texas. Do some homework on where and when displays of the flower are at their best. In parts, they form an almost unbroken carpet which is a breathtaking backdrop for any proposal. You’ll need to move quickly, though. Bluebonnets flower in late May through to mid-July, so time can be short! Although technically in Fort Worth, the West 7th Street Bridge is a magnet for couples wanting a romantic stroll with great views of downtown. 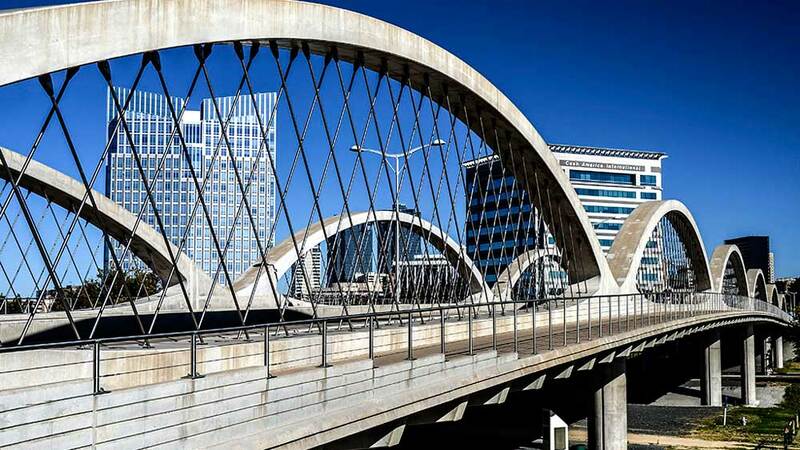 The current bridge is actually pretty new but is instantly recognizable thanks to its unusual wave/lattice design. Take a leisurely walk between the cultural district and downtown, position the downtown skyline in just the right place and you have it. One of the best urban proposal locations available. Who could say no to that?! At over a thousand acres, with lots going on for everybody, White Rock Lake Park is a popular place for walkers, runners, cyclists, and picnicking families. There is a museum, a cultural center, and a bird watching area for those wanting a little peace and quiet. Summer does get very busy in the park, but it is big enough to find somewhere secluded. Take a picnic, find the shade of a tree, and enjoy good food and a glass of wine (or champagne!). The feeling of relaxation will have you ready for your proposal. If you are both dog lovers, head to the off-leash area of the park. This is where dogs can be as silly and fun-loving as the rest of us. Ask many Dallas residents what they love about their city, and they’ll tell you the skyline. Often rated as one of the best skylines in the US, the city hasn’t been shy in making the most of it. From its location on the west bank of the Trinity River, Trinity Overlook Park offers just about the best views available of the downtown area. Wait for the evening and make your move as the sun sets behind the downtown buildings. 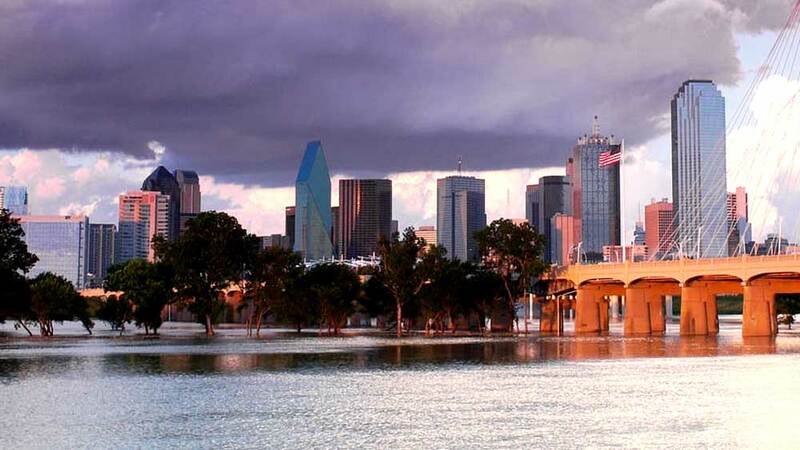 Alternatively, take a stroll along the Trinity Skyline Trail. 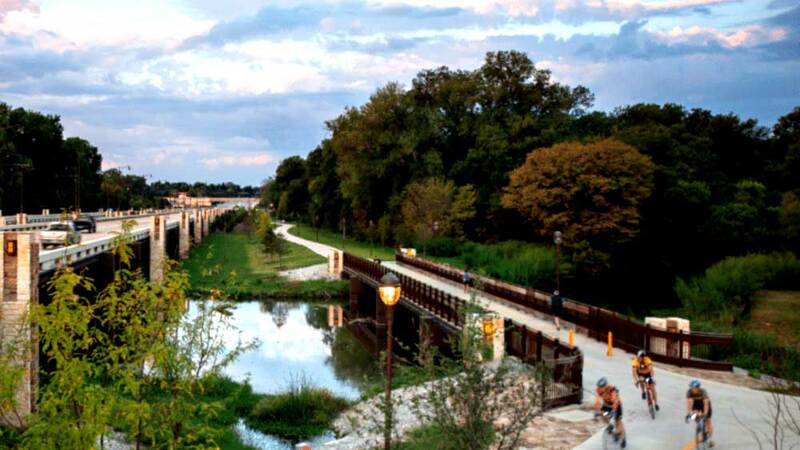 The Trail winds its way along the Trinity River and is a great way to get away from the bustle of downtown. Somehow, there’s no better feeling than being in a green space in the middle of a city. 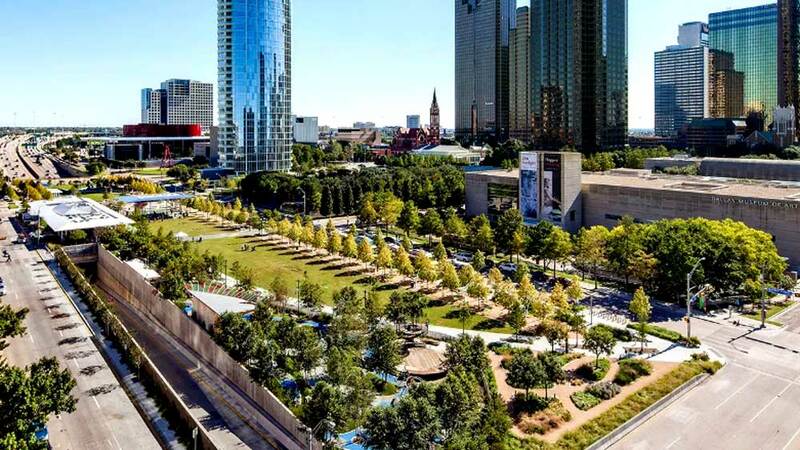 Just a few yards away from the busy urban streets of Dallas, and you will find the Klyde Warren Park. We can probably quite confidently say that never has so much been packed into so little! At just 5.2 acres in size, this privately managed park offers tons of great, and free stuff to do. There are food trucks, game carts, free yoga or Pilates sessions, and more. Have a bite to eat and something to drink. Play a game of chess or enjoy the beauty of the butterfly garden. Alternatively, just sit and enjoy watching the world go by. This oasis in the city is an unusual delight for you to both enjoy before taking her hand and asking her to marry you. For all the suggestions above, you will need two things. A little planning and an engagement ring (we always recommend a vintage ring). The planning is straightforward enough. Just follow our tips, do a little bit of research into access times for some of the locations, and you will be halfway there. The choice of engagement ring may need a little more work. The experts at Estate Diamond Jewelry will be happy to help! 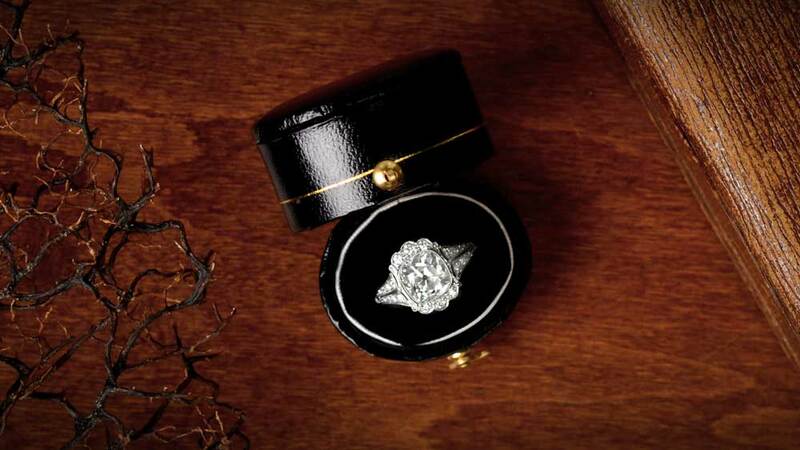 There are vintage and antique diamond engagement rings to suit all budgets. With 30 years of experience, there’s no better place to buy your diamond engagement ring. If you want to learn more about “asking the big question”, feel free to navigate to our Proposal Educational Page. It’s easy to use and has hundreds of user-friendly articles.